Click "Run Audit", configure your options, and set "schedule audits" to "disabled". Site audits are a critical part of your SEO toolkit. Oftentimes, onsite-SEO is neglected in favor of offsite, simply because consultants aren't sure which items to focus on, other than issues that are glaringly obvious. But onsite-SEO can be even more important than offsite when it comes to optimizing for high rankings. And having a tool which will analyze a site and tell you precisely which pieces of your onsite-SEO game may need attention is crucial. That's where our Site Audit utility comes in. 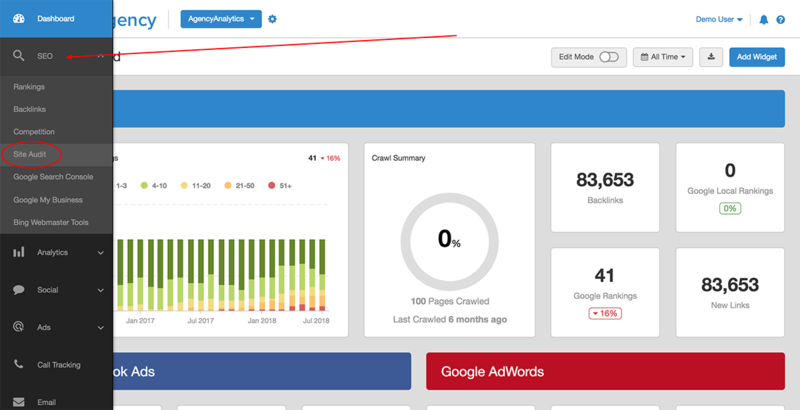 First, navigate to the SEO --> Site Audit campaign module for the campaign in question. 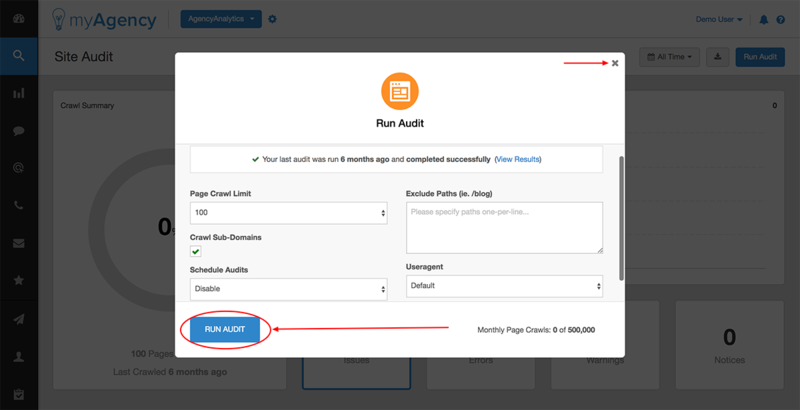 Next, click the "Run Audit" button at the upper right hand corner of your screen. In the window that appears, set your options for the audit that you'll be running. Page Crawl Limit: Refers to the maximum number of pages that will crawled on this site for this audit. The maximum is 5000. Crawl Sub-domains: Lets you choose whether to crawl sub-domains, such as mysubdomain.mysite.com. Schedule Audits: If you're running a one-time audit, set this option to "disabled". Scheduled audits are covered in this article. Finally, click the button that says "Run Audit". 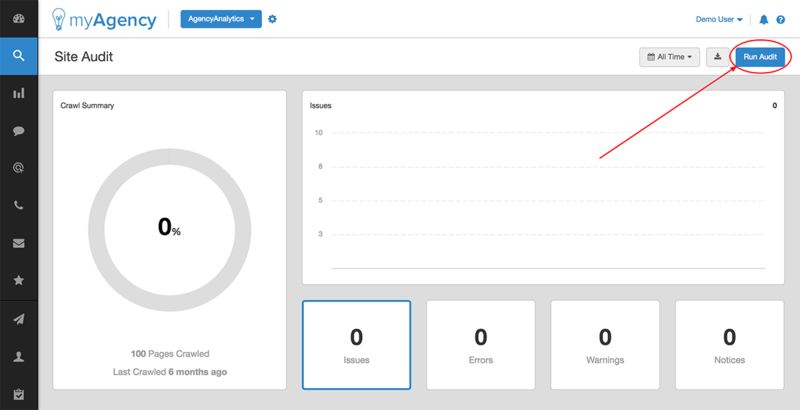 You can click the "X" button to navigate away from this screen while the audit runs, and then come back later to view your audit. Do NOT click "Cancel Audit" unless you truly wish for the audit to be canceled. Audits can take anywhere from a few minutes to a couple of hours to complete, depending on the number of pages being crawled, and the current load on our servers.